Acouple of weeks ago I was fortunate to pop along to the FDA UK Cinema Showcase day where I got to watch a number of excellent films including; Yann Demange's outstanding '71 a gripping journey into the madness of war ,with its young lead Jack Jack O'Connell delivering on the promise of being one of Britain's most watchable performers. Whilst not as immediately satisfying as say The Social Network I also enjoyed David Fincher's pitch black Hitchkokian satire Gone Girl and have been mulling it over since seeing it. 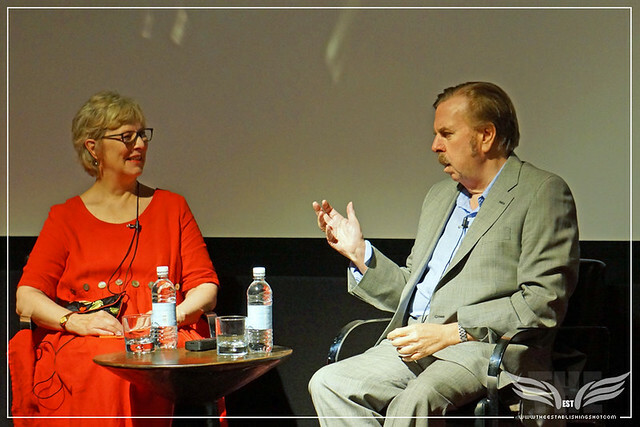 But the highlight of the day for me was seeing Mike Leigh's absolutely astonishing and sublime Mr. Turner followed by an intimate QA session with the star of the film the treasure that is Mr Timothy Spall. I have said it before and I'll say it again - there is nothing better than a Mike Leigh film - other than a Mike Leigh film with Timothy Spall in it*. Now I have again turned the camera round on ourselves, we who try to be artists, with all the struggles our calling demands. But making people laugh, hard as it is, is one thing; moving them to experience the profound, the sublime, the spiritual, the epic beauty and the terrifying drama of what it means to be alive on our planet – well, that’s altogether something else, and few of us ever achieve it, much as we may try. Turner achieved all of it, of course. He was a giant among artists, single-minded and uncompromising, extraordinarily prolific, revolutionary in his approach, consummate at his craft, clairvoyant in his vision. Yet Turner the man was eccentric, anarchic, vulnerable, imperfect, erratic and sometimes uncouth. He could be selfish and disingenuous, mean yet generous, and he was capable of great passion and poetry. Sadly I am one, I assume, of the many who revere the works of J. M. W. Turner or - Joseph Mallord William Turner but know relatively little of the man himself. As many I studied his works briefly at school and from the textbooks I learned that he was is one of Britain's greatest artists, that there was as much rivalry between Turner and John Constable during their lifetimes as exists today for the aforementioned title, that he was considered both eccentric and a genius, that controversially (and perhaps the thing that defines him the most for many) rather than sell his collection of art to private collectors he left it for those who so wish to see it and above all - the man was considered an enigma. If truth be told and even though clearly these lessons made an impact on me, mainly imbued and spurred on by the passion of my teacher, these were all relatively distant concepts to me - words in books accompanied by pictures - of a man from long ago “highly thought of by other people” from long ago. Since then I have been fortunate enough to stand in front of many of J. M. W. Turner's paintings and admire them first hand. In fact The Tate, where many of his pieces are displayed, was always one of my first stops when visiting London. I now live a short way from the gallery and even closer to Turner's final home on the banks of the Thames. I cannot look at the clouds or the ever changing skies of London without thinking of Turner and how he captured it so perfectly so long ago that it has not been improved upon. Yet I still know very little about the man himself. Which is why I am so bowled over by Mike Leigh bringing this great man back to life, so eloquently through Timothy Spall and shedding light on who he was. The ramifications of this are pretty enormous as for anyone studying art or with an interest in the arts, their perception of J. M. W. Turner will certainly be more enlightened and henceforth be Timothy Spall's interpretation of him. 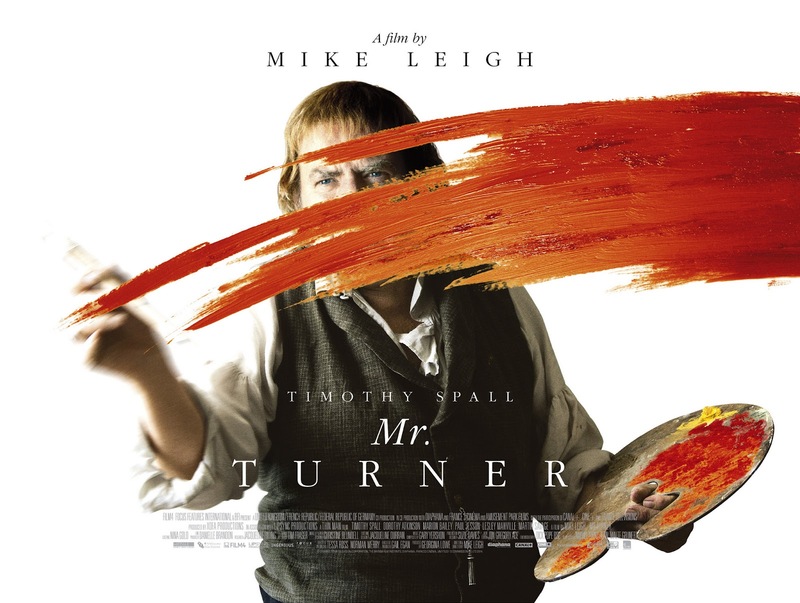 In the clip below Timothy Spall talks about preparing and playing the enigma that is J. M. W. Turner. Leigh boldly doesn't dumb down his film and it is complex tale of a very complicated man who still defies definitive explanation of who he was other than he was his own person and I would be surprised if there could ever be a better, more endearing or intelligent version than Timothy Spall's Turner. 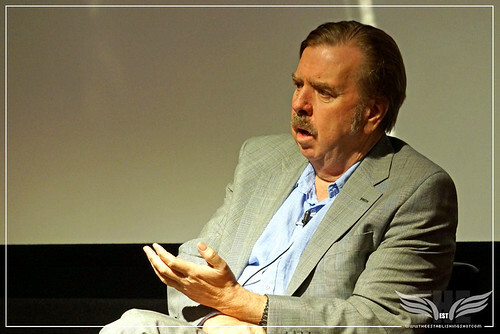 In this clip Timothy Spall discusses his favourite Mike Leigh films. Mr.Turner explores the last quarter century of the great if eccentric British painter J.M.W. Turner (1775-1851). eventually lives incognito in Chelsea, where he dies. can paint a snowstorm, and is both celebrated and reviled by the public and by royalty. * Unless of course we are discussing Leigh's Naked – which is a masterpiece and his finest film to date at least in my humble opinion.